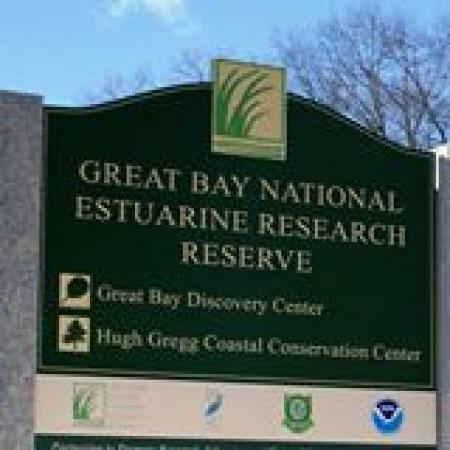 Inside the Discovery Center, visitors are treated to interpretive exhibits about the Great Bay Estuary and the amazing creatures that call it home. Children can get their hands wet in an estuarine touch tank as they learn about lobsters, horseshoe crabs, mud snails and more! Interactive displays about salt marsh farming, salmon migration, plankton, tides, and research on the Bay allow children and adults alike to learn about the Estuary. The Discovery Center's season is the first weekend in May to the end of October. When open, the Center days/hours are Wednesday through Sunday, 10:00 am - 4:00 pm. The grounds are open year-round, dawn to dusk. As the review states, it's 100% free to visit, and the exhibits are lots of fun--kids can check out horseshoe crabs and learn more about the marine life of our region. The setting is just lovely, too--lots of trails and marshland to explore, as well as two model boats that are fun for the little ones to climb on and around.